Searching for the attitude of Liz Magor‘s work, the word “terse” clings obstinately to mind. I know it isn’t quite right. Unambiguously, her sculptures also radiate the most approachable and relatable kind of content: motifs referential of the social and corporeal life of humans. At the level of form, though, her objects are succinct and withholding. They are bundled, stacked and piled. They are compressed. They hide things. They embody pressure. Certainly, they do not cloy. Rather, they sit self-possessively, while visitors decide to encounter them, or not. From the point of view of the artworks, it seems that either option is suitable. Those who do make the approach will encounter a mimetic reflection of the abject and egoless nature of being in the world. This is a difficult provocation, for which not every viewer is cut out. Evidently, though, it has been worth making. Whether these strange entities like it or not, plenty of attention is now coming their way. In the 1980s, Magor represented Canada in both the Venice Biennale and Documenta. Though the intervening years have been fruitful, her work has stayed close to home. During this time, she has worked resolutely in her Vancouver studio, while teaching at Emily Carr University of Art and Design. In the latter function, she has exerted an influence on young Canadian artists unmatched by any other sculptor. Lately, her sculptures have been re-delivered to global prominence. An ongoing retrospective at Zurich’s Migros Museum is the latest evidence of this surge, following a version of the same at Montreal’s Museé d’Art Contemporain. This process seemed to begin in 2014, when Magor showed at Marcelle Alix, alongside the younger artists Rebecca Brewer and Marie Voignier. Two years earlier, in 2012, she was picked up by Vancouver’s Catriona Jeffries Gallery – long the city’s dominant commercial space, and one from which many of Magor’s students have embarked on international careers. It is a consensus among those who have followed her work, that this attention has arrived embarrassingly late. 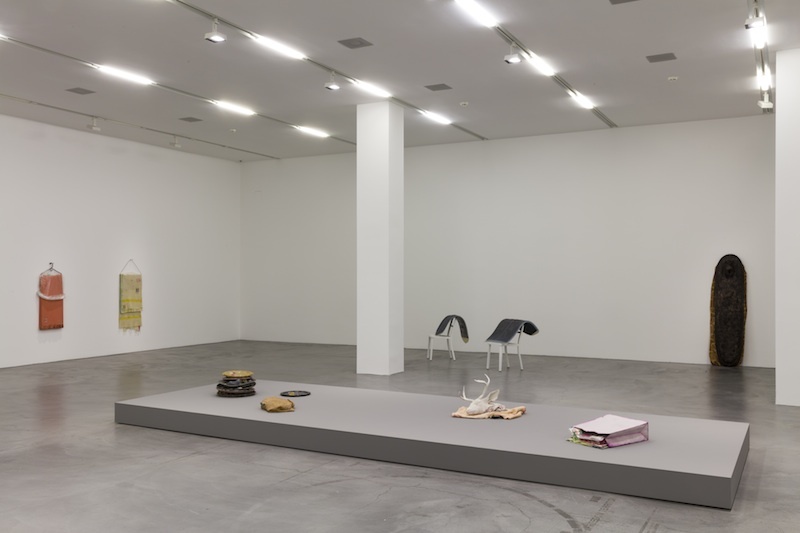 Given the arc of Magor’s career, it is hard not to dwell on the way her sculptures operate as cool epigrams for survival itself: bodily, social, and psychological. Often, they combine cast versions of clothing and other domestic objects, with authentic edibles. In one series, facsimile coats and sweaters were stacked, and interpolated with chocolate bars and booze bottles. In earlier works, tree-trunks were cast and lined with sleeping bags. Filled with such manifold objects, Magor’s catalogue echoes the human’s effort to maintain life, not only though hoarding and sheltering, but also through the succour of addictive habits. This surrealistic combining of authentic and specious objects engenders uncanniness, in the way of embalmed domestic implements. What follows is a shrewd undoing of dissociation, namely the distance human beings put between their socialized being and the animal body through which that being lives. 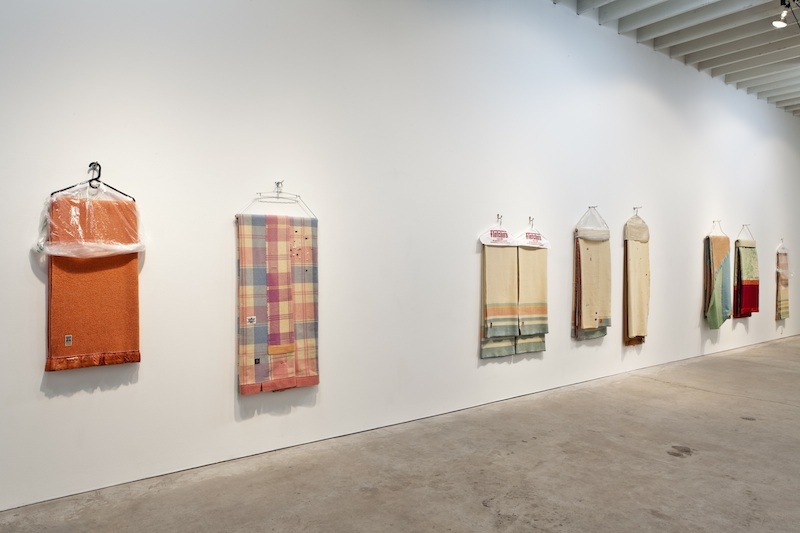 Between 2011 and 2013, Magor turned her attention to blankets. These were not cast from polymerized gypsum, like the clothing in her previous works. Rather, they were presented as themselves, hanging on simple metal hangers. Still, the blankets seemed caught in a process of un-becoming. In ‘Alberta/Quebec’ (2013), fuscia stains spread through wool like psychedelic mold. 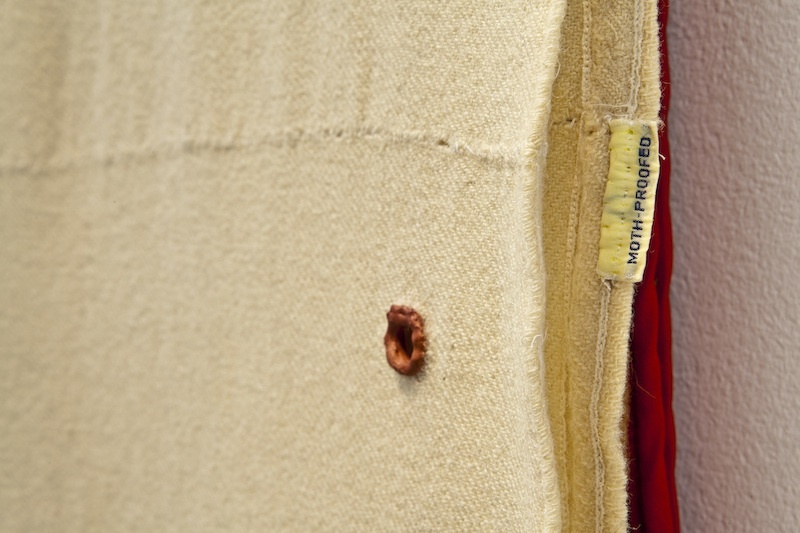 In ‘Moth-proofed’ (2011), small holes in the cream material have been ringed with copper-colored gypsum, triggering visions of bullet wounds, and the slow siege of moths. Often, Magor stitched into these blankets with colored thread, transmuting repair into decoration. Like her earlier sculptures, these blankets recoil willfully, away from style and into the recesses of necessity, urge, and circumstance. While the moth does its deconstructive work in secret, the assassin’s bullet passes through blankets under the cover of darkness. Meanwhile, the worker who fixes the damage wrought by both actions, toils behind closed doors. Through these associations, Magor’s blankets interlope in the shadow space between daily social interaction and the body as a singular entity, surviving and dying in every moment. 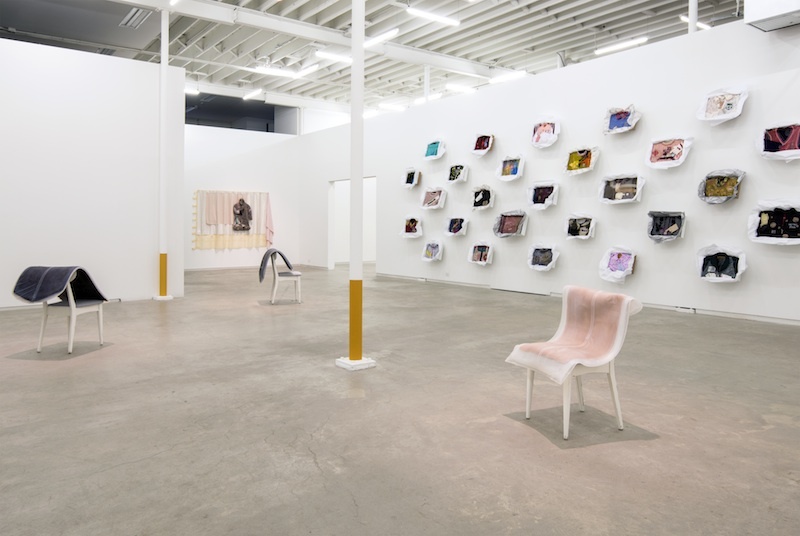 Lately, it has seemed impossible to open an art magazine without finding a mention of “self-care.” Taken up by curators and critics, this theme seeks to open a space through which art might transition from fetishized commodity to therapeutic method. Within the life-sucking ether of capitalism, this effort is surely necessary. But it also seems suspect: an attempt to morph life-sustaining processes into saleable art commodities. Whatever the case, this topic lends a curious timeliness to the popularity of Magor’s vestments, shelters and nourishments. Her work certainly deals with the comforted, nurtured and egressed body. But, it does so in the realm of the symbolic, without striving to engender direct change in the here and now. In this way, her work holds open a shadow world, in which it becomes clear that objects do not only keep us alive, but we them. Here, care is not a blindly optimistic gesture, but one that converts tears and their mendings into the insoluble stuff of life. With this in mind, you could say that Magor’s work draws a nature-morte—which is archaic and meditative—into the twenty-first century—an ungraspable jet-stream of information and obsolescence. Here, the human being seems every day to fade further into digital mediation. But, here, also, chocolate still soothes, blankets still warm, moths still eat, and bullets still pierce. 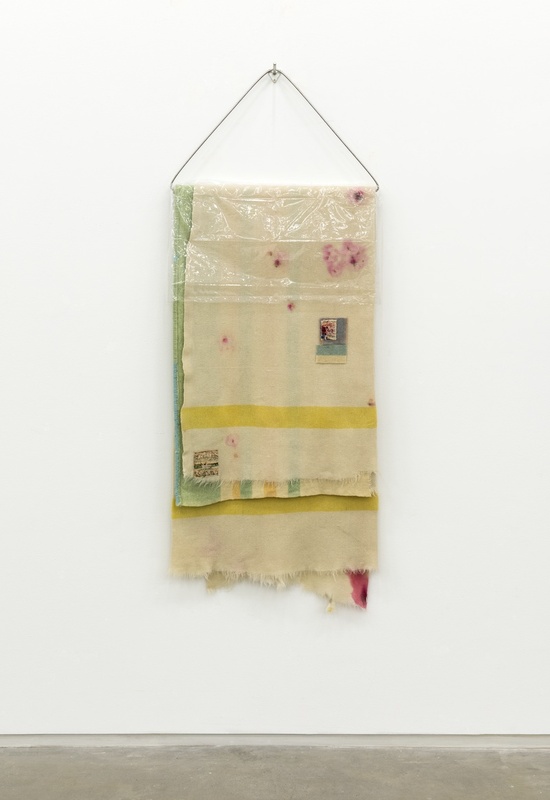 Transmuted into hanging talismans, Magor’s blankets resonate the persistence of these human concerns. This is surely a caring function, even if the love proffered is tough.